Vasilopita is the traditional Greek New Year’s cake served at midnight on New Year’s Eve. This cake is infused with the aromas of orange, butter, and mastic! Kourampiedes recipe, a traditional Greek Christmas cookie covered in icing sugar, sure to please everybody this festive season! Melomakarona, the most authentic Greek Christmas cookie! Get the recipe for this decadent Christmas treat now. Spanakorizo Greek Spinach Rice, one of the all-time favorite winter dishes in our home! Who hasn’t savored a bowl of hearty, warm spinach and rice with feta and rustic bread? One of my personal favorite Greek comfort foods! 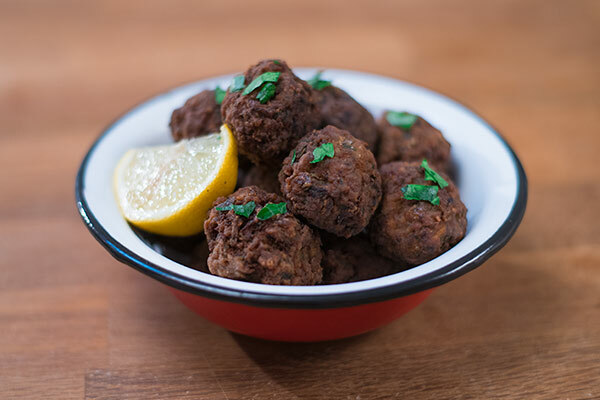 Keftedes recipe, the meze you’re gonna love! A traditional Greek recipe, gorgeously flavored with red onion, fresh parsley, wild spearmint, and always a hint of dried oregano. 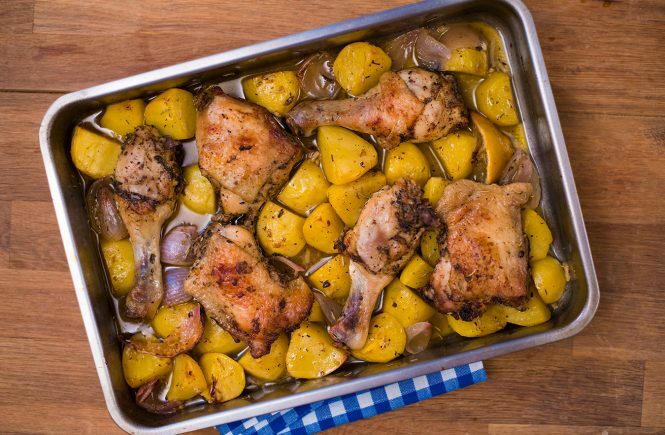 Greek roasted chicken with potatoes. Need I say more? You had me at “Greek” and “roasted”. This traditional recipe for kotopoulo me patates sto fourno is out of this world. Let me explain why. Saint Fanourios is celebrated every year on August 27th and the tradition requires a fanouropita. As the patron saint of lost things, it’s been a longtime traditional for Greeks to make this special cake dedicated to Saint Fanourios. Greeks love their greens, and this traditional recipe for fasolakia is the proof! Our grandmothers call them “fasolakia giaxni”, because the beans are stewed in a tomato and onion sauce. Gemista or yemista means “stuffed” in Greek. This traditional dish falls under the category of Greek dishes called “lathera,” meaning “cooked with oil”. As most Greek recipes, gemista require simple technique but demand high quality ingredients. When it comes to summer, Greeks know how to cook their way through this warm season! Strapatsada is the Greek version of scrambled eggs with feta cheese and tomato. But behold, do not get carried away and start making the classic recipe with milk and butter. I urge to use Greek extra virgin olive oil!